01.09.2016. Old Trafford, Manchester, England. Specsavers County Championship. Lancashire versus Somerset. 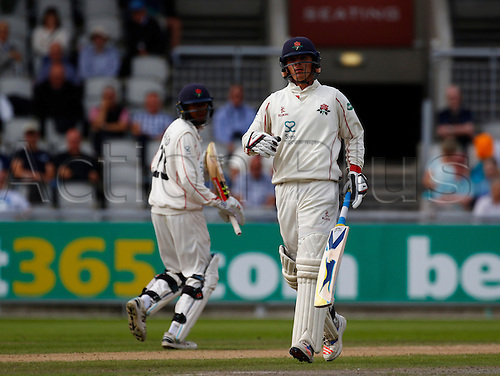 Lancashire's young opening pair of Haseeb Hamed (left) and Rob Jones run between the wickets. At tea, Lancashire had reached 57-0 in response to Somerset's first innings score of 553-8.